Rohit Shukla is an eternal seeker and innate traveller. A trait that was plausibly imbibed by his father. In his early days he used to tag along with his father and sometime running errands to local weekend market, in a sense, left a big void on his young mind to be filled. Immersive and interactive setting, undeniably fascinating stories , in more than a way trigger the passion to know what lies beyond this market and his town. He was born and brought up in small town -Nashik in Maharastra (India). But his strong sense of adventure and call of unknown took him to places. After passing his Class 12, he set his focus toward India’s capital -Delhi. To give wings to his dreams, he felt apt to give intellectual mooring to it. So, he enrolled for MBA with Adventure as specialisation. Where he learnt to think big and finer point of life in smaller things. He found Motorbike to take him closer to his passion. Where he can set his own pace, savour the landscapes, bridging gulf with locales through interaction. 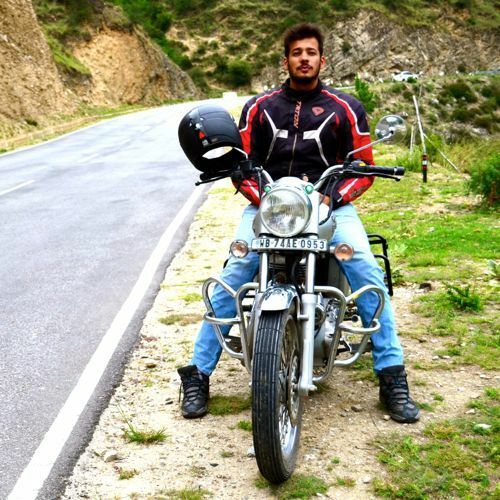 Since long, he has traverses far and wide on his bike, to name a few , Leh, Ladakha highways, North East India and more. Now he is all geared up as bike team leader for Wind Horse to give a new dimensions to biking in Bhutan and India.